Attention, all you SEO operatives out there! The Panda has risen! 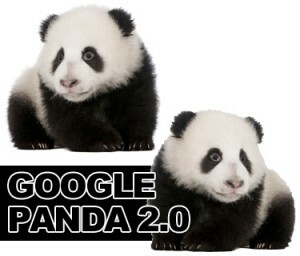 Although he appears to be sleeping most of the time, the ubiquitous Google Panda is always thinking. His Search Quality Team (which basically means, those who look for and deal with spam) launched the next generation Penguin webspam (or Spam) algorithm on May 22, 2013. AKA Penguin 2.0, this is the fourth Penguin update, but it earned the moniker “2.0” because it is the FIRST update of Penguin that is a revision in the algorithm rather than a complete refresh. As usual, the changes have SEO experts and internet marketers all atwitter, but Google experts say that if you’re still offering good, quality content, and are not a spammer, you have nothing to worry about. Revisions in the algorithm prove that although the Google Panda himself is black and white, he can see in many shades of grey. The Google Panda is inherently fair…in fact, fairness seems to be built into his DNA. He’s introspective enough that these most recent changes have less to do with the user and Internet marketer and more to do with himself and how he’s running things. And so, one of the Search Quality Team’s alterations is dedicated to try to find what’s referred to as “Black Hat” SEO. As defined by Webopedia. The changes are expected to go deeper and have more of an impact on these types of bad Internet marketing. The Search Quality Team is also looking at the use of advertorials that violate their quality guidelines. They have nothing against advertorials, per se, but it should be clear to users that the content was paid for. It’s really no different than legislation for elections in Calgary and Alberta, where all advertisements must be clearly marked with the name and contact information of whoever is responsible for their development. Without going into too many details, the Panda’s Search Quality Team also indicated an ability to better deal with highly contested (more “spammy”) areas of the Internet, such as pay day loan sites. And they hinted at some good ideas on how to deny value to link spammers, which is when websites link to other sites for no other reason other than to “trick” link-based algorithms. Other Google 2.0 developments include improved detection of hacker sites and better ways to communicate with webmasters about what to do if they’ve been hacked. They also claim to have found superior methods of detecting legitimate authorities in specific spaces such as professional service providers. And they also say users are less likely to see clusters of results from same domain on the front page of their search. It’s always better to be proactive rather than reactive – especially when it comes to the Internet – and if SEO seems like a lot more than your current internet marketing team can handle, Emphasize Design is your Calgary inbound marketing solution. We can check your analytics frequently to track how leads found you and customize your online marketing strategies to target your ideal customer. We are a group of creative, passionate and motivated professionals set out to do one thing…help companies succeed online!